Thinking about your future? We are, too. 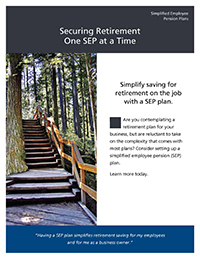 Whatever your plans are for retirement, it’s important to have a savings strategy in place. 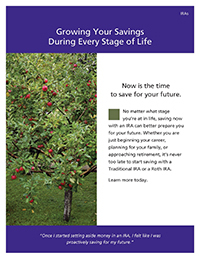 An Individual Retirement Account (IRA) is a convenient, cost-effective way to achieve your goals, offering flexibility and tax advantages you can’t get anywhere else. 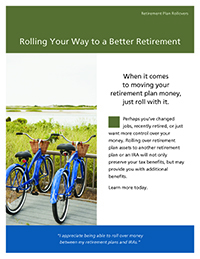 Maybe you want to defer your taxes until retirement when your tax bracket will likely be lower. 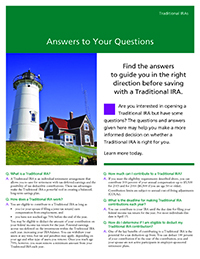 In that case, a traditional IRA might be right for you. 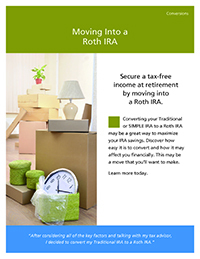 How about enjoying tax-free returns later on by paying them now through a Roth? No problem. 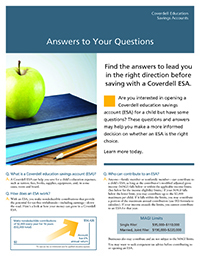 You can even use the money for education needs through a Coverdell Education Savings Account. 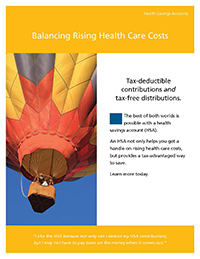 It’s as simple as a payroll deduction. 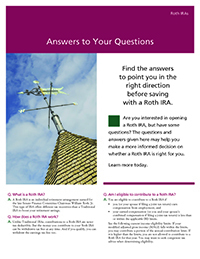 Regardless of which plan you choose, you can expect competitive returns, convenient accessibility, and peace of mind that your future is in good hands. $6,000 a year per individual. 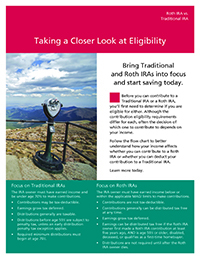 $12,000 for couples filing jointly. $7,000 for investors over 50. $14,000 for couples, both over 50. 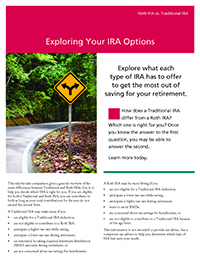 $2,000 for Coverdell Education Savings Accounts.